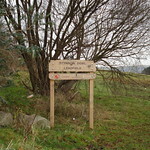 The Leadfield site is a large natural open space with panoramic views to the Beacons, and backs onto Morriston Park. The area is steeped in history and was the original location for the Industrialist John Morris' mansion house, which was later removed brick by brick and re-built in Sketty. 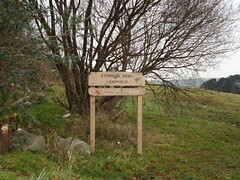 The area is pock-marked with craters from where during WWII the Leadfield was lit up to lure bombers away from the city. There is a natural spring and an historic well which is in need of repair, and horses can often be see grazing the slopes. The Leadfield has great potential for community and conservation use, and work is already underway with the local Environment Group to improve the area after years of neglect. Burnt out vehicles have been removed, access has improved through the construction of a new hard-wearing path and bridge, and new signage is helping to raise the profile of the area. In contrast to the designed landscape of nearby Morriston Park, this is a large area of open grassland (currently grazed by ponies) with a boggy area that provides a great habitat for amphibians such as toads, newts and frogs. Several years ago the communities fought off a planning application to develop the site and now its future as an area of open space seems secure. There is presently little tree cover but there are plans for a community woodland to be planted here in the future. There are some interesting archaeological features on the site including an old well and remnants of ancient field workings.